Over the last two decades there has been a great deal of interest in specific immunotherapies. Particularly in the field of passive immunotherapy, using tumor-specific antibodies, some interesting successes have been reported. 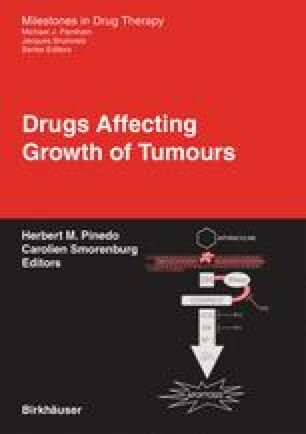 The humanized monoclonal antibody, Herceptin, directed to the Her-2-neu antigen is now an established standard modality in the treatment of breast cancer patients, whose tumor is overexpressing the Her-2-neu antigen . Cetuximab, a monoclonal antibody specific for another epidermal growth factor receptor, is about to be registered for the treatment of metastatic colon cancer . The treatment with anti-CD20 monoclonal antibodies improves the prognosis of lymphoma patients and is now considered as a standard immunotherapy for B cell lymphomas . All together it took more than 30 years before monoclonal antibodies have evolved to a standard treatment in cancer. It is important to realize that it was no more than 10 years ago that the perspectives of this type of passive immunotherapy were not so promising. The humanization of monoclonal antibodies was a real breakthrough and opened the way for this type of treatment.